Anyone for a National Drink? Defining culture and experiencing new cultures is a multi-layered and multi-dimensional experience. Culture are is composed of many things such as national languages, belief systems, history, traditions, rituals, and customs. Culture is also food and drink. In the Czech Republic, the national drink is Becherovka, a medicinal “tonic” invented by a pharamcist in the world-famous spa town of Karlovy Vary (also known as Karlsbad). Becherovka is a cultural experience in itself. Radim Wajshavt is a tour guide in Karlovy Vary as well as an employee of the Becherovka museum, a travel attraction in this beautiful spa town in the Czech Republic. 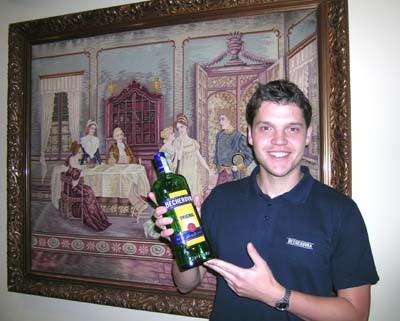 To hear a conversation with Radim about the history of the Czech Republic's national drink, CLICK HERE. 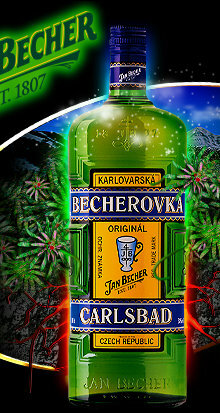 To pay a virtual visit to the Becherovka factory and museum, click on www.becherovka.com/cz. To pay a virtual visit to Karlovy Vary, CLICK HERE.